With the news that knock-down price stores are booming during the recession – even in traditionally wealthy towns – it’s clear that the nation’s love of saving money is truly live and kicking. Of course, for many households this is not just a bit of fun – it’s a serious business. With the cost of living soaring at the moment, it’s never been more important to find ways to put a few extra quid in your pocket. Anyone who’s seen the news recently will know that fuel bills in particular are due to rocket this winter – so it’s a good idea to start acting now and working out ways to save money. From getting boiler insurance to investing in your home, here’s five of our top tips. When one utility provider announces a rise, the others soon follow. So take the chance to compare your gas and electricity with other providers and switch to a more favourable deal. In most cases, you’ll be looking for a deal that allows you to fix your tariff until a certain date – with prices unlikely to drop, this is likely to save you the most money overall. Sometimes you’ve got to spend money to save money. And this is true when it comes to your home. Spend a little cash on insulating your pipes, boiler, cavity walls and loft now, and you’ll be reaping the rewards from lower bills for years to come. The run-up to winter is the perfect time to find out about the benefits boiler cover can bring. Primarily used to cover the cost of repairs and maintenance, many also come with a complementary annual service – which is recommended by experts to make sure your boiler is working safely and efficiently. As soon as you’ve got summer out of the way and the temperature is starting to drop, head for the shops and pick up some bargains. For most of us, spending at Christmas is inevitable – so it’s better to get the best deals now rather than waiting til the last minute and splashing out on pricey gifts. Granted, cycling may be more pleasant in the summer, but with the spectre of crash diets and exercise vows at the turn of the year looming, why not get ahead by making the decision to take up cycling now? Not only will it save you a packet on petrol, but you’ll also be getting fit too. Perfect. This is a guest post by Mike Brains who blogs for FinancialFacts.org. Great list! 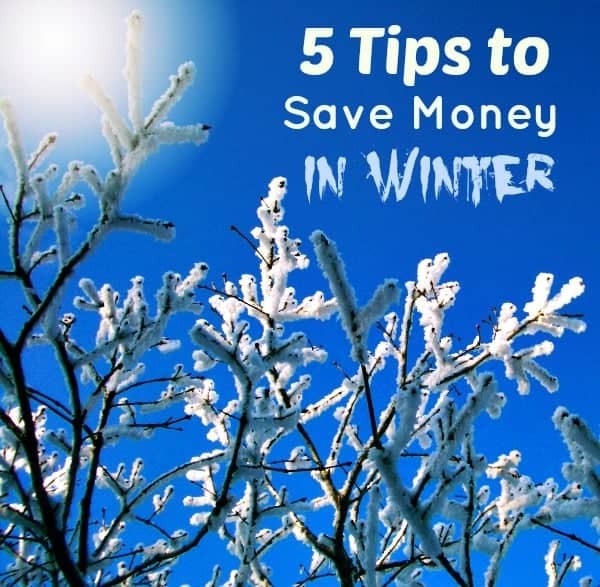 i was just looking into ways to put aside some money during winter and not fall into over consumption. Will definitely invest my money in my home, and already switched my electricity provider. Thanks! We only have one electricity provider in our area – darn. Would love to have some competitive prices to choose from!